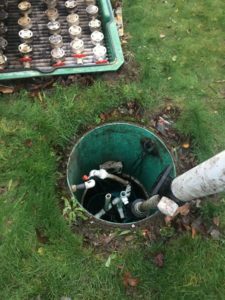 You will need to replace the septic tank of your home or business if the existing one has become clogged or is damaged beyond repair. Installing a new septic system requires professionals to handle the process from start to finish. 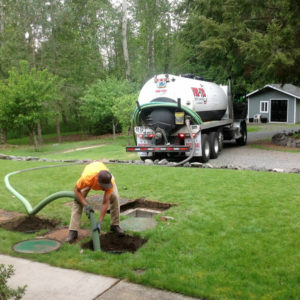 Vac-Tec LLC is a reputable company that offers quality installation services for new septic systems for Auburn, WA home and business owners. You can choose any of these materials for your septic tank as part of your septic system. You can trust our experienced and trained technicians to help you choose the right new septic system for your home or business. You can be assured the design we recommend for your home or business will provide a septic system that will work for years to come. Septic tank installation is required when you are not connected to the municipal sewer system. Typically installed underground, septic tank is the reservoir where all waste from the property accumulates. Choosing a septic tank of the right design and size is crucial to maintain a septic system that works correctly. The new septic system is put in place to collect the wastewater. You must choose the right company to replace a septic tank or to install a new one. We have been offering septic tank installation services for Auburn residents for a long time. 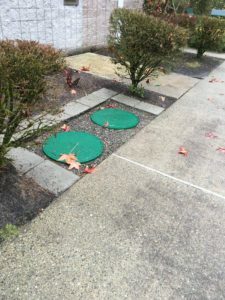 Equipped with the latest equipment and knowledge of latest installation techniques, we assure you of a professional septic tank installation. When you are looking for an experienced company for septic tank company, think of us. There might be several companies offering to replace septic tanks in Auburn. However, you need to choose a professional company that has the expertise and the efficiency to provide the right services to replace your septic tank. We have the ability to replace your septic system using the latest equipment and advanced techniques. With us as the company handling all aspects of the installation of your new septic systems you can be assured that you are being served by one of the leading companies in the industry. Feel free to call Vac-Tec LLC at (206) 339-0039 for any septic system requirements you may have in Auburn.